The oval is a kind of conic curve, that is, the conic section and the plane section. In mathematics, an oval is a curve in a plane around two focal points such that for each point on the curve, the sum of the distances to the two focal points is constant. Therefore, it is a generalization of a circle, which is a special type of ellipse with two focal points at the same position. The circumference of the oval is equal to the length of a particular sinusoid in one cycle. An ellipse is a closed conic section: a plane curve that intersects a plane by a cone. The ellipse has many similarities with the other two types of conic sections: paraboloids and hyperbolas, both of which are open and unbounded. The cross-section of the cylinder is elliptical unless the cross-section is parallel to the axis of the cylinder. Ovals are common in physics, astronomy, and engineering. For example, the orbit of each planet in our solar system is approximately an ellipse, with one of the planets in focus - the center of gravity of the Sun pair. The same is true for satellite orbiting planets and all other systems with two astronomical bodies. The shape of planets and stars is usually described by ellipsoids. 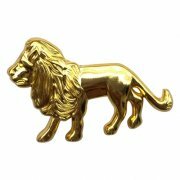 This ovals lapel pin is so shinny, seems like a mirror, round the edge, polished perfect. You will feeling the smooth when you touch it, like a crafts. The metallic, the lighting, the face. 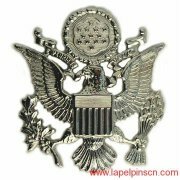 It's silver metal with polishing process. 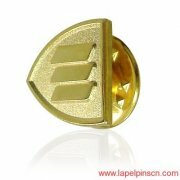 The blank lapel pins also is the oval pins, and silver lapel pins same silver metal.